Don’t miss out on the 2019 Motionball Gala in Toronto — being held on Friday, February 1st, 2019 at Liberty Grand. Motionball is a not-for-profit organization that builds awareness and raises funds for the Special Olympics Canada Foundation (SOCF), and HOLR had the pleasure of interviewing Motionball’s Chair and Co-Founder, Paul Etherington. We chatted about the event, inspirations behind it, and what we can expect from the organization in the future. HOLR: Tell us about Motionball. What’s the event all about? Paul Etherington: It’s the 18th Motionball Toronto gala event, we have been sold out for the past 8 years and it will be 2,500 guests with an open bar all night. We have 2 big ballrooms at Liberty Grand. One ball room will be live music with 5 different entertainment acts, and in the other room there will be DJs all night. It’s Toronto’s biggest Charity Gala for young professionals. It’s an incredible night of fundraising and fun with the who’s who of corporate Canada, and corporate Toronto as they come out to the event. 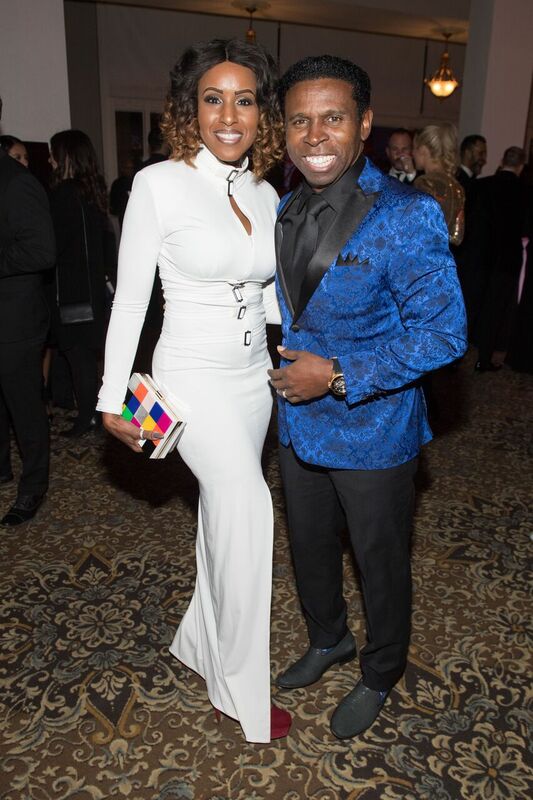 We always get celebrity guests, and we also bring out our celebrities, that being our Special Olympic Athletes — we have about 30 of them there that night, with an objective to raise $300,000.00 Cash for our Charity Motionball. It’s one of 35 events Motionball runs across Canada, which we are very excited about. We are represented in 8 provinces,and this is a property of ours we are very proud of as this is the first event we ever ran here in Toronto and it’s great to know its lasted 18 years. HOLR: Who or What was the inspiration behind starting Motionball? Paul: Myself and my brothers. Our parents have been very engaged in the special olympics movement for years. Our dad received the order of Canada in 2004 for his involvement with Special Olympics, and at an early age we were encouraged to support the movement but we eventually fell in love with it all. The athletes and the volunteers, the coaches — and when we graduated from university we decided to start our own thing. We wanted to get our generation engaged, and get our friends and work associates involved in this important movement. The second form of inspiration would be a Special Athlete by the name of Kevin Timberlake who was working at our office 20 years ago, and convinced me to start coaching Special Olympics. I was able to meet more athletes and coaches and it became an inspiration for my brothers and I. To this day, he still sits on our motionball board and through him we saw the value of the opportunity that special Olympics and Motionball can offer to the athletes — and he’s still a major inspiration today. HOLR: Can you give us a bit of your own background? What is your role with Motionball today? Paul: I am the chair and co-founder of Motionball, co founded by my two brothers Mark, Sean and I. We now happily have 5 full time staff who are in the same office at our company Etherington Generations. Mark and I are probably spending 40% of our days on Motionball initiatives and nowadays because we have staff helping us out, we’re able to focus on the bigger things; finding new national sponsors, expanding across Canada into new provinces and cities, helping grow our Motionball University program with an objective to be in all 52 Universities in the next 5 years, and also to grow our Anti-Bullying #NoGoodWay Campaign. So it’s exciting for my brothers and I to work on the bigger picture strategies and full game plan for Motionball. Without our staff we couldn’t do it. They’re incredible, hard working and passionate as are our 70 national event directors across Canada who are all volunteers and who take time out of their busy schedules to put on these remarkable events across Canada. We consider the team a family and we’re just loving what we’re doing and I think we’re making a difference. For us it’s very important for everyone to have fun, and we also want to remind them that everyone involved is making a difference. Even if it’s just buying a ticket to the event, the money goes directly to the special olympic athletes. HOLR: The event has grown to be very prominent — what can you attribute to it’s success? Paul: I think listenening to our attendees over the years. This being our 18th year, sure we’ve made mistakes over those years. We’ve tweaked the event a bit to make sure we listen to our guests and what they want. When you run an open bar event, you want to make sure you have enough bartenders. Speaking honestly, we also had an issue one year where coat check was brutal. So this year, we planned an entire ballroom with 22 attendants — you’ll never have to wait in line to get your coat at the end of the night. I think those details are actually really important to make an event work. Our staff pay attention to the details and it’s going to be an incredible night. It’s going to be a ton of fun and we’ll reach our objective if people are feeling generous, buying raffle tickets and bidding on the silent auction. We also started a partnership with Lyft to help with the congestion of the exit and they’re giving away a promo code for all Motionball guests. $10 off to arrive and $10 off to depart, which is a great addition for our guests — The promo code is “MotionBall19” ! HOLR: Since its inception in 2002, how much money has been raised so far through Motionball, and what impact it has made on the lives of the athletes? Paul: We are excited to be announcing that at our Annual General Meeting, which is the day before the Gala. 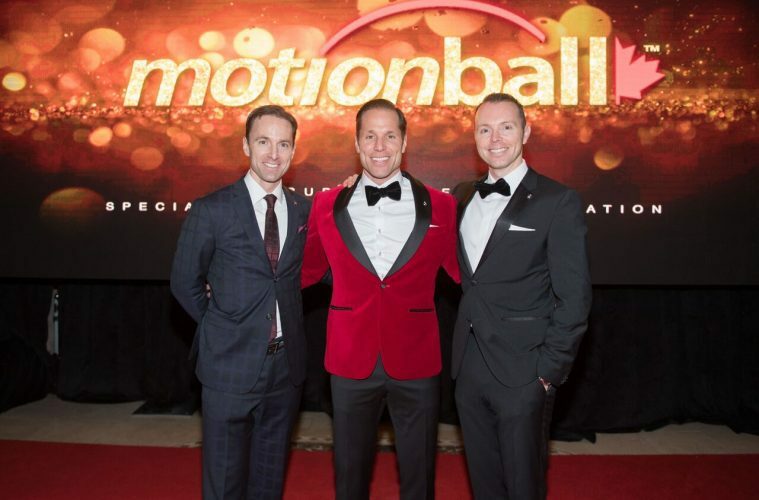 We fly in our 70 event directors and since inception, Motionball has donated 11 million dollars to the Special Olympics Canada Foundation — and we know we’re making a difference. When I first started with Motionball there were 25,000 registered special Olympic Athletes in Canada and that number keeps growing. Last year alone there was a 6% increase in the athlete count. There’s now about 46,000 registered athletes. HOLR: Where do all the proceeds go? Paul: Initially, all the dollars raised go to the Special Olympics Canada foundation — then 70% of those dollars go back to the Provincial chapter in which those events were held in. So if we’re running an event in Vancouver, 70% of the net funds from that event will go to Special Olympics British Columbia and the other 25% stays with the foundation to help ensure the long term financial stability of the movement. The other 5% goes toward the marketing campaign for the Anti-Bullying strategy — mainly to stop the negative and casual use of the “R” word, with our #NoGoodWay Campaign. We aren’t trying to convert social media trolls –they have their opinions and may never change them. We’re trying to change the minds of those who use the word but don’t mean to hurt anyone, and to mainly just let them know there’s a portion of the Canadian population who’s offended by that word. If they could consciously make the decision not to use it, we would appreciate it and that’s what we’re working towards. HOLR: Can you tell us a bit more about the Marathon of Sport that is coming to UofT on January 25th? Paul: As Motionball’s flagship property, we now run 14 city wide events across Canada and we’re now in 15 Universities across Canada. We have a team made up of 10 people, both male and female who compete in 6 different sports throughout the day, and the key to it is the integration component. We add one Special Olympic Athlete which is key, so over the course of the day, you’re playing sports and networking — but you’re also getting an opportunity to meet and understand what we’re supporting; that being the Olympic Special Athletes. This is the first time UofT is running an event at their school which is really exciting. It’s so exciting to see the program of ours continue to grow and flourish, because the students and young audiences are the next generation of supporters for this movement. Our big Toronto Marathon of Sport Event is Saturday, May 25th, 2019. Our goal is to raise $450,000.00 from that event alone. It’s an incredible event of sports, great food, DJs spinning all day, and we have over 120 Special Olympic Athletes that participate in the day. HOLR: How can attendees be more involved with Motionball before and following the event? Paul: Before the big Gala, check out www.motionball.com/nogoodway. If you’re up for it, you can become an ambassador of our anti bullying campaign. If you bought a ticket for the event, you’ll get communication from Motionball about our silent auction and you’ll be able to start bidding on items the week in advance, which is really fun. And then if you enjoy that event, or come work on a sport and enjoy that, we encourage people to reach out to us if they want to get more involved — they can sit on one of our committees as a volunteer to help with the events. If they want to get more aligned with the Special Olympics movement and the athletes themselves, we generally connect them to places like Ontario Staff, to see if they want to start coaching or volunteering at some of their events. So there’s tons of opportunities,but at the same time, even just buying a ticket, people should know they’re making a big difference and it is very much appreciated. HOLR: What can we expect from Motionball in the future? Paul: Everyone can expect an awesome event where you’re getting a ton of value. We’re going to have more events in Toronto — we talked about Marathon of Sport, and we’ve also got a really neat motionball Idol event happening later on in the year where we’ll have special needs performers, and celebrity judges. It’s just a really good feeling event that’s happening in November. You can also expect continued growth in our #NoGoodWay Campaign and lot more universities running our marathon of sports event — so there’s a lot in store for the upcoming years that we’re very excited for! If you’re attending the Motionball 2019 Toronto Gala, get the “LYFT” App for $10.00 off your ride there and for your ride back, using the promo code MOTIONBALL19 on the night of the event! For the latest events, make sure to follow us @HOLRMagazine.